Audi's Super Bowl LI commercial had a strong message about equal pay. It featured a little girl competing in a soapbox car race as the girl's father narrates his struggle to discuss gender equality with her. "What do I tell my daughter?" the father says. "Do I tell her that her grandpa's worth more than her grandma? That her dad is worth more than her mom? Do I tell her that despite her education, her drive, her skills, her intelligence, she will automatically be valued as less than every man she ever meets? Or maybe I'll be able to tell her something different." The girl outwits her competitors to win the race, and the ad closes with the message: "Audi of America is committed to equal pay for equal work. Progress is for everyone." In a statement, Audi said this about the dad's thoughts: "As he stands hopeful on the sidelines ... he finds a new-found confidence, celebrating her victory and the tangible hope for equality in her bright future." A message on Audi's YouTube page noted that "a 2016 report by the U.S. Congress Joint Economic Committee found that women were paid 21% less than men on average." The ad called "Daughter" was the work of female director Aoife McArdle. 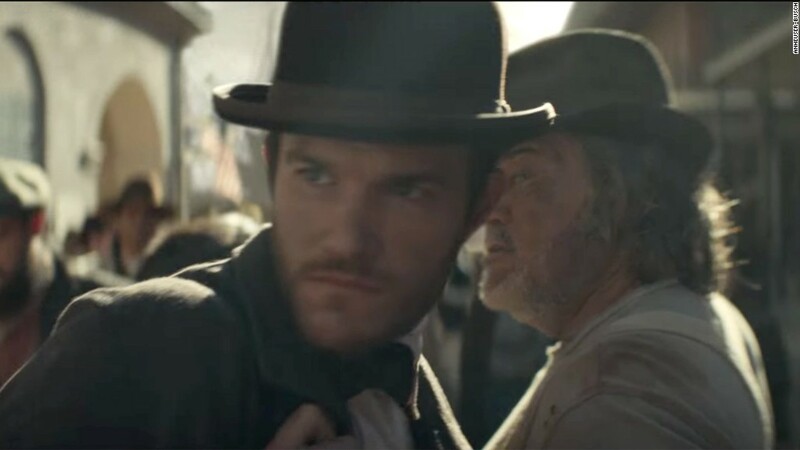 It's the ninth time Audi has run an ad during the Super Bowl. Audi (AUDVF) runs a graduate internship program that requires 50% female enrollment and is also one of the companies to sign the White House Equal Pay Pledge. Women currently make up 22% of Audi's workforce, but the company has said it's working to change that. The U.S. Automotive Industry's average for the number of women in the workforce is 27%.